Doing business in Middle East and Africa is characterized by complexity, both financial and geopolitical risk must be taken into consideration and maneuvered successfully in order to grow your business. In a study conducted by Business Sweden in 2018, one can scrutinise that some companies in the region had declining growth while others experienced double-digit growths. The questions raised was what challenges Swedish companies in the region faces and how to overcome them, what are the underlying mega trends in the region, which markets holds most economic potential combined with lower levels of risk and which industries are more promising than others. 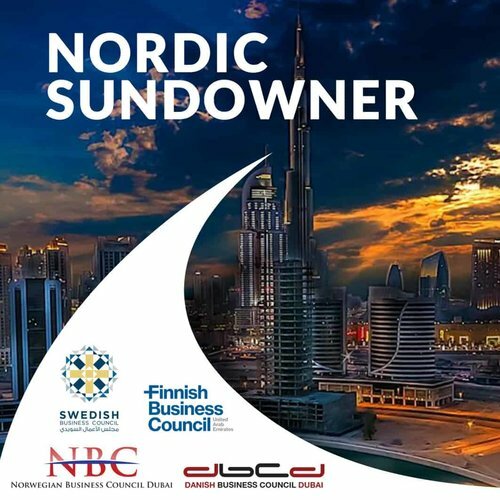 We welcome you to the Nordic Sundowner the 24th of April were Business Sweden will present the Middle East and Africa Study and answer these key questions. 7:15 - 9:30 PM	Mingle with the Nordic business community in Urban Bar & Kitchen with happy hour prices until 8 PM. FEE: Free to all Nordic business council members, 50 AED for others.